As the business buildings were unfilled, we could plan and execute our work efficiently while making all air conditioning pipework hidden behind partitions of the commercial site. We were aware of all other building work plans prior to the installations we were able to plan ahead and design an installation solutions that met every need of each business client and didn’t impact the flow of the work-sites. At one site we installed a Samsung Ducted Inverter Air Conditioner NS071SDXEA. As a complete stop for all air conditioning needs in and around Adelaide, we can offer a customized solution tailored to meet your requirement. 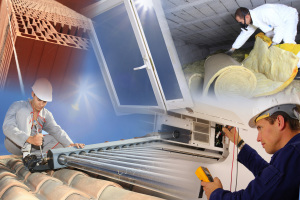 Contact us for a free quote for Business Air Conditioning Installations in Adelaide!